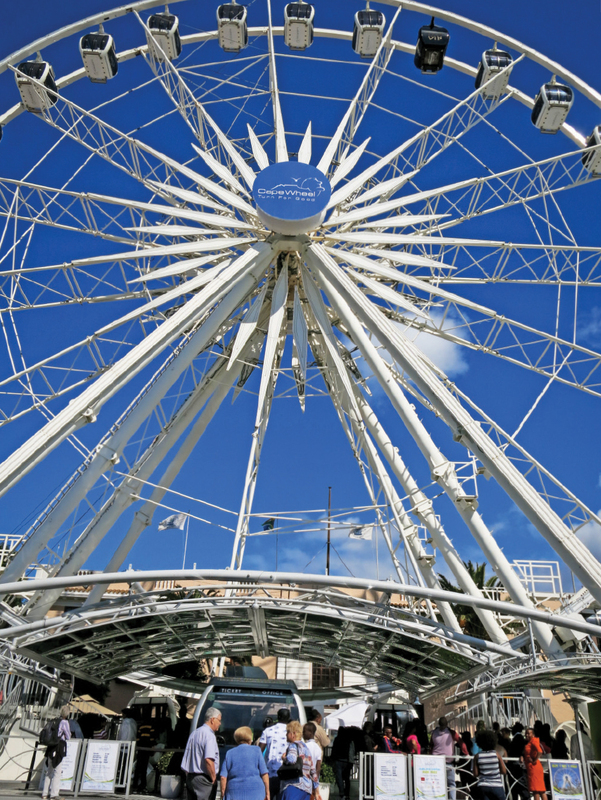 With beaches, mountains, penguins and paragliding there's something for everybody in South Africa's much-loved Mother City. Born and bred Capetonian Nick Dall spills some of her secrets. You will catch your first sight of the almost impossibly flat profile of Table Mountain before your plane has even landed and by the time you reach the City Bowl it will be looming over you like a kindly grandfather. 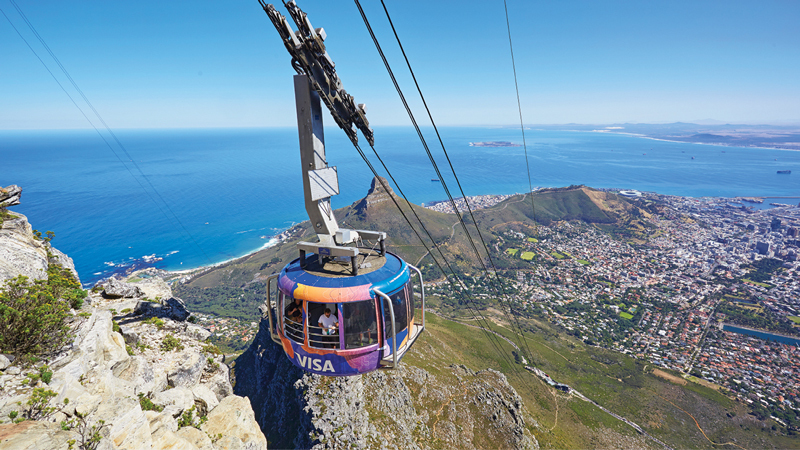 The mountain is at the heart of everything in Cape Town, and you shouldn't waste any time in getting to the top. Back in the city, the funky restaurants and bars that flank Long Street will tempt you by promising a truly memorable experience. 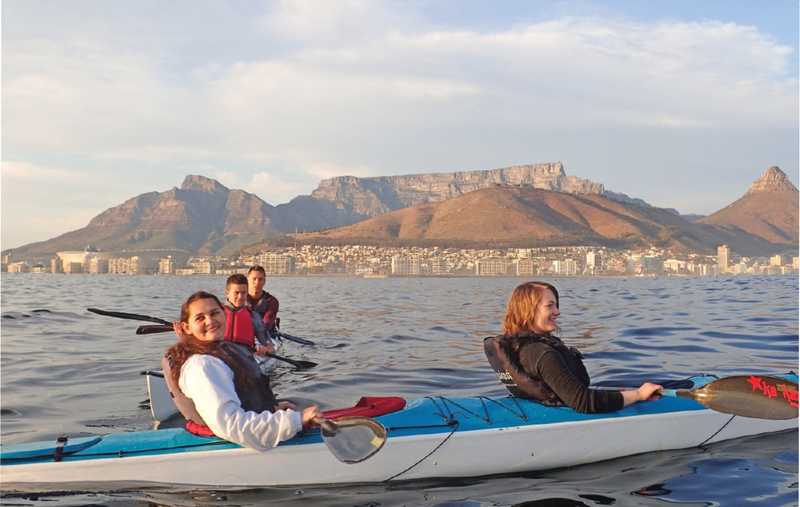 The next morning will call for an exploration of the natural wonders of the Cape Peninsula, a landmass that has been christened both the Cape of Storms and the Cape of Good Hope by seafarers and explorers of yore. As you head South on the Indian Ocean coast, you will pass the surfers and kite-surfers at Muizenberg Beach and paddling families at St James tidal pool. 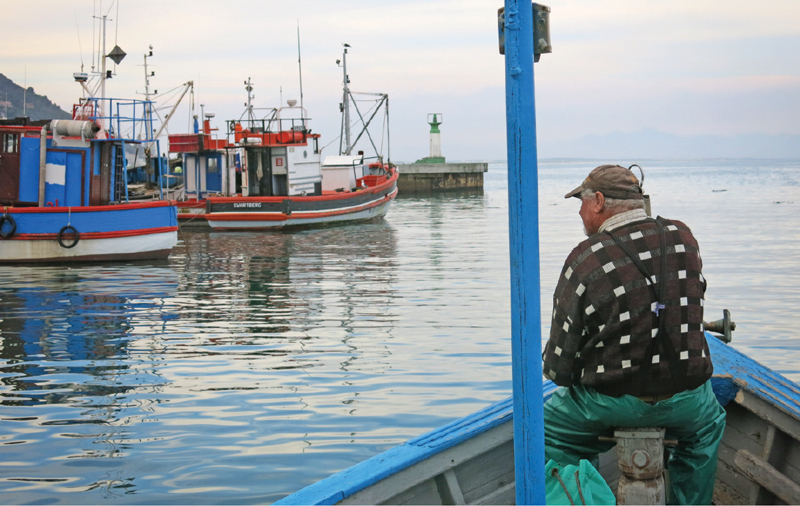 The fishing village of Kalk Bay, is well-worth a stop. Red, blue and green boats bob in the harbour and a few lazy seals bask on the pier, while on the main strip vintage clothing stores and art galleries vie with artisan bakeries and boutique coffee roasteries for your custom. The next False Bay town worth tarrying in is the naval base of Simon's Town. 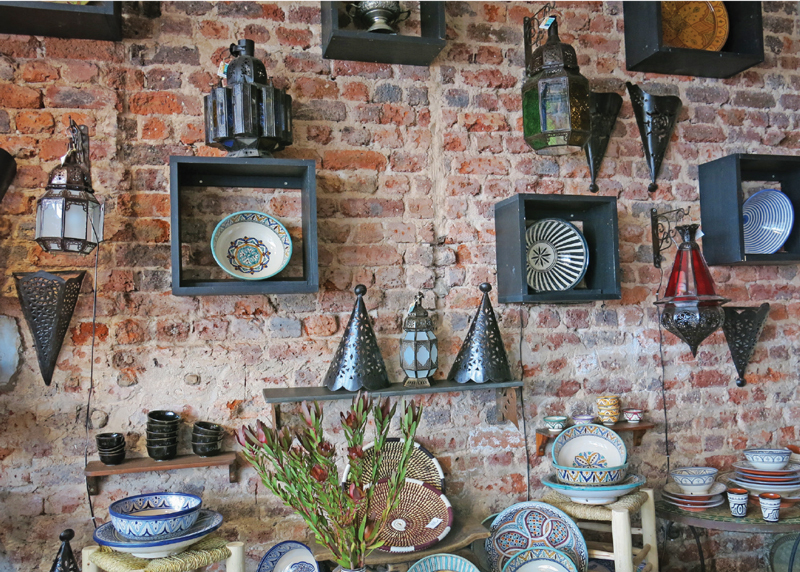 Quieter and more stately than Kalk Bay, it's a pleasant place to shop, eat and stroll. Lovely though the town maybe, there's no denying that the mainstay is the penguin colony at Boulders Beach. These world famous birds sure live up to their reputation, and their waddling antics are sure to melt even the most hardened heart. As you head South on the Indian Ocean coast, you’ll pass the surfers and kite-surfers at Muizenberg Beach and paddling families at St James tidal pool. It's time for the main course, Cape Point! 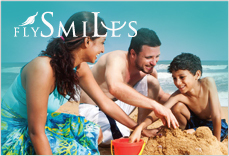 The dramatic promontory where the Atlantic and Indian Oceans meet, is everything you imagined and more. Stand on the abyss, rendered miniscule by the wrath of the waves beneath you and the knowledge that the nearest landmasses are Australia, Antarctica and South America. Afterwards, take a tip from a local and make the adventurous pilgrimage to Dias Beach, a snow-white pinprick wrought from the sheer sandstone cliffs of the peninsula. The journey back to the city traverses the more rugged and uninhabited Atlantic coastline. The hippy village of Scarborough has a gorgeous, but chilly, beach and the aptly-named Misty Cliffs couldn't be more picturesque. 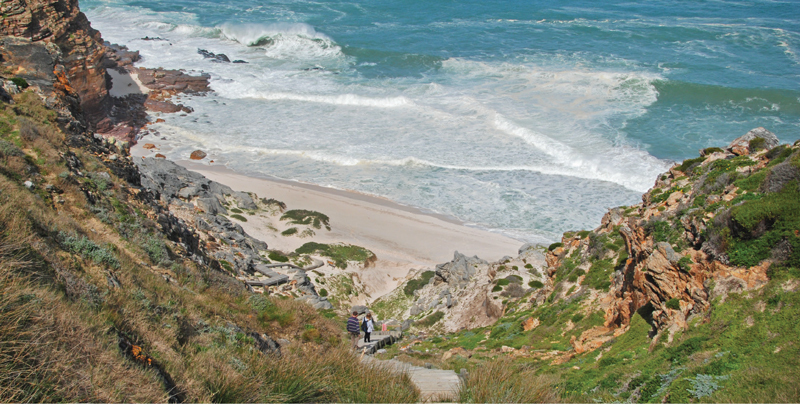 A little further along sits the surfers' outpost of Kommetjie and the seemingly endless expanse of Noordhoek Beach, a favourite for dog walkers and horse riders. you will realise that you’re finally back where you started. In only 130km you have seen two Oceans and countless beaches. You have come eye to eye with penguins and stood on the end of a continent. And it is just the beginning. 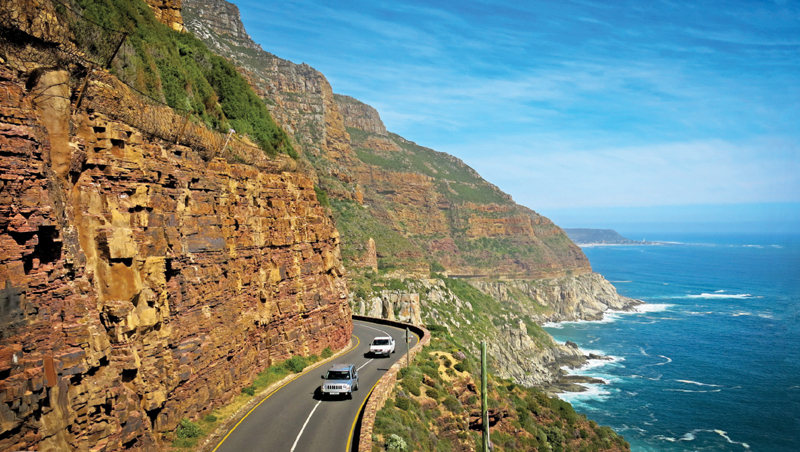 Chapman's Peak Drive, a world-renowned serpentine, cliff-hugging road, is a marvel in itself. On some of the bends your heart will definitely be in your mouth, yet it's a drive you won't be forgetting anytime soon. After Chapman's Peak comes the large fishing town of Hout Bay, followed by a yet more impossibly pristine coastline. The A-list enclaves of Llandudno, Camps Bay, Clifton and Bakoven are home to gorgeous beaches, dreamy sunsets and the most exclusive addresses on the continent. As you round Signal Hill, and are greeted once more by Table Mountain, you will realise that you're finally back where you started. In only 130km you have seen two Oceans and countless beaches. You have come eye to eye with penguins and stood on the end of a continent. And it is just the beginning. During your stay you will be hiking to the top of Lion's Head and paragliding down. 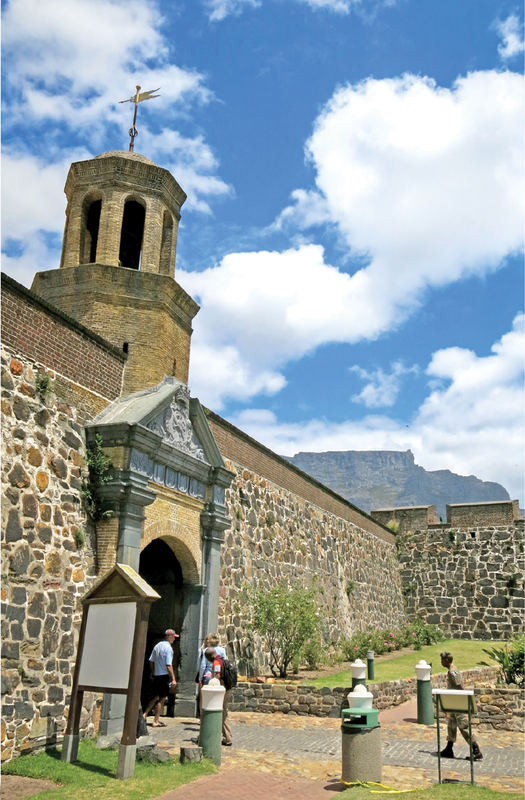 You'll be visiting the site of Mandela's incarceration and exploring the past at the Cape Town Castle. You'll be sipping chardonnay in the winelands of Constantia making plans to get back to Cape Town. And soon. Table Mountain’s flat top was formed 300 million years ago when the ocean froze over, thus flatting the layers of sedimentary rock. Cape Town was established by the VOC (Dutch East India Company) in 1652 as a supply station for ships sailing from Europe to the Dutch East Indies. The Cape Floral Kingdom is the world’s smallest and richest plant kingdom. 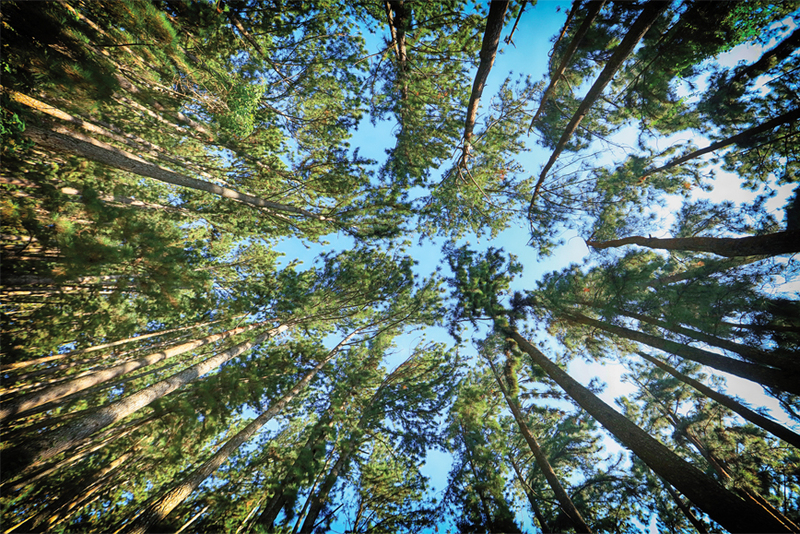 It contains nearly 7,000 species, which are found nowhere else. 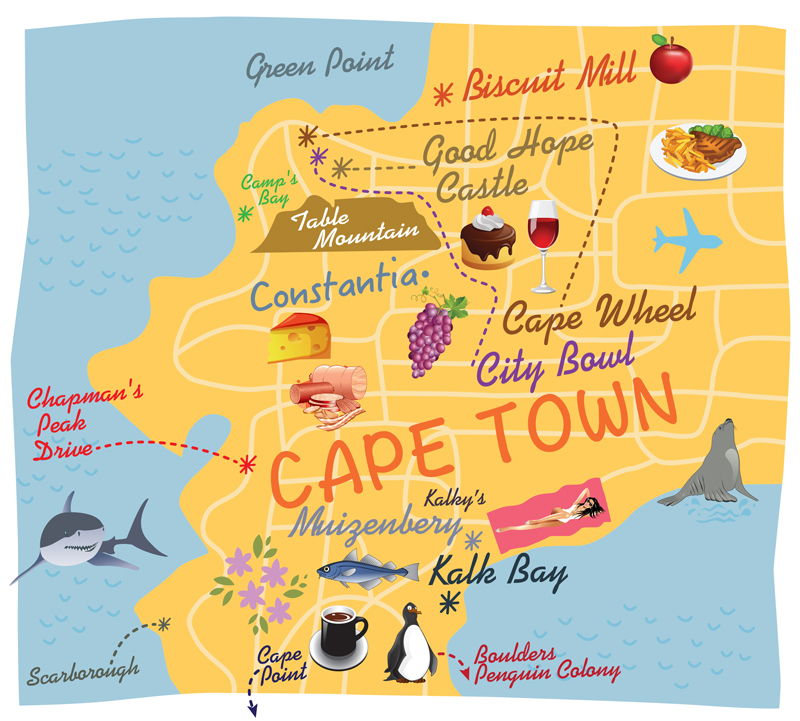 Vineyards were first planted in Cape Town in 1659, making it the oldest wine region in the New World. The Table Mountain Cableway first opened for business on October 4, 1929. Its most famous passenger is probably Queen Elizabeth II. Dr Christiaan Barnard performed the world’s first human heart transplant in 1967 in Cape Town at Groote Schuur Hospital. At 12 noon every day (except Sunday) the Noon Day Gun is fired from Signal Hill. It can be heard up to 10km away.